Dot NET Framework is a software framework that runs mainly on Microsoft Windows and it is introduced by Microsoft.Dot NET comprises of a large library and it also offers language.. The full form of VB.NET is Visual Basic .NET It is object oriented programming language. 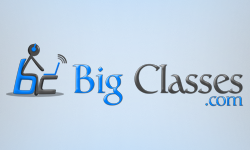 It is the evolution of classic VB, which is implemented in .NET framework. There are two..
What is .NET? The DOT NET is a software framework. It is developed by Microsoft. It includes a large library and also provides language inter-operability across some programming languages. Language inter-operability refers the capability of two different.. In the year 2000, Microsoft announced a whole new software development framework for Windows called .NET in the Professional Developer Conference (PDC). After initial testing and feedback Beta 1 of..